Dolomites Holidays with children: hotel in Val di Fiemme for families! The Val di Fiemme is rich in activities completely dedicated to children, from snow sports to seasonal events, for a family-friendly holiday! Park Hotel Sancelso enjoys a strategic position to explore the surroundings and will welcome you in its 2-twin and 3-bed rooms or family suites!! While if you look for an experience of total relax among the Dolomites, it is possible to indulge in the mountain cuisine, among huts and lodges, in visiting the local several museums and castles, or in the Christmas street-markets and nativity scenes! 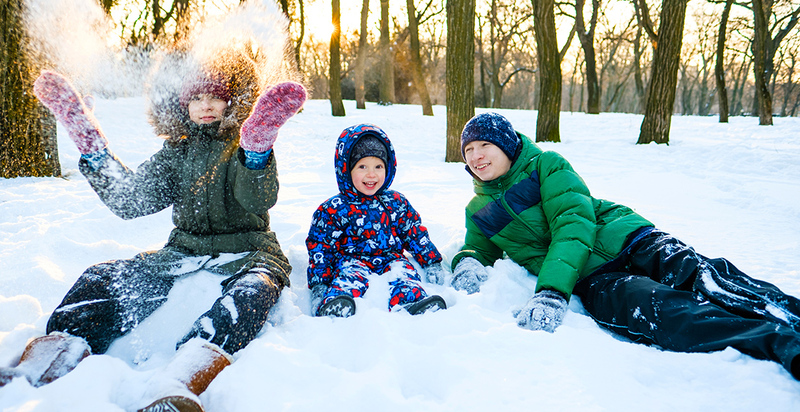 Do you want your children to get familiar with winter sports but you do not know how? Discover the Val di Fiemme, an enchanted family-friendly valley! Besides offering some of the most beautiful ski resorts of the Dolomites, the Val di Fiemme is fitted with several Ski-Kindergartens (Cermislandia on the Alpe Cermis in Cavalese, Bip Club in Pampeago, Regno dei Draghi in Gardonè and La Tana degli Gnomi-Laricino Park in Bellamonte), where your children can enjoy the widest variety of snow activities while supervised by qualified educators and experts. Alpine Coaster: a brand-new roller-coaster on the snow! 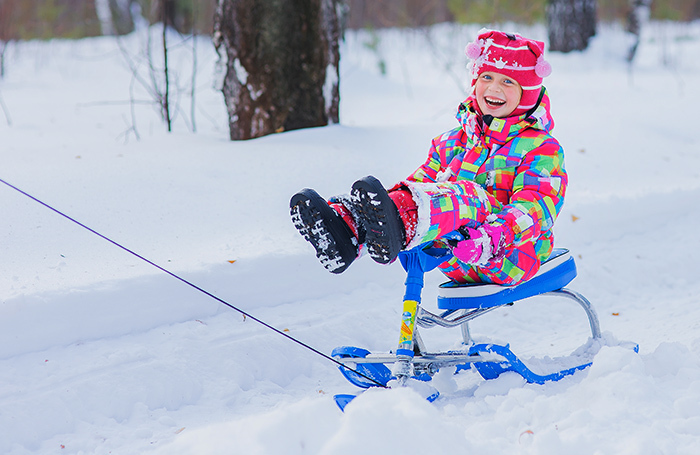 Fun for the whole family in the Latemar woods: more than 900 meters of bends and slopes on child-proof sleds! Chi ha detto che in montagna si può solo sciare? La Val di Fiemme attende tutta la famiglia per emozionanti gare di… slittino! Who said that you can only ski on the mountains? The Val di Fiemme welcomes the whole family for thrilling luge competitions! 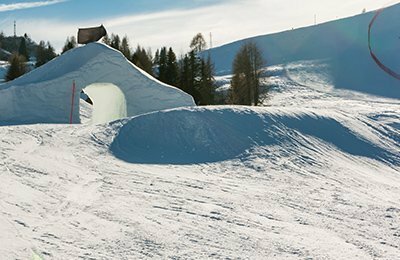 Discover the Malga Varena Hut and the Lavazè Snowparks: snow-parks fitted with trails for tubbies, snow-bikes, luges, mono-ski and bob-sled, the playground in the snow at Ziano di Fiemme or the Kindergarten Bip Club in Pampeago! If you are looking for luge runs, you will be spoiled for choice: form Bellamonte to Predazzo, from Gardonè to Obereggen… you will certainly find your favorite one! The Val di Fiemme will welcome you with its schools to help the children get familiar with winter sports safely! ∞	Snow games with qualified instructors from the four Ski-Kindergartens to take the first steps in the snow: The Tarn of the Gnomi Laricino Park in Bellamonte, the Kingdom of Cermisland on Alpe Cermis in Cavalese, the Bip Club in Pampeago and the Kingdom of Dragons in Predazzo. 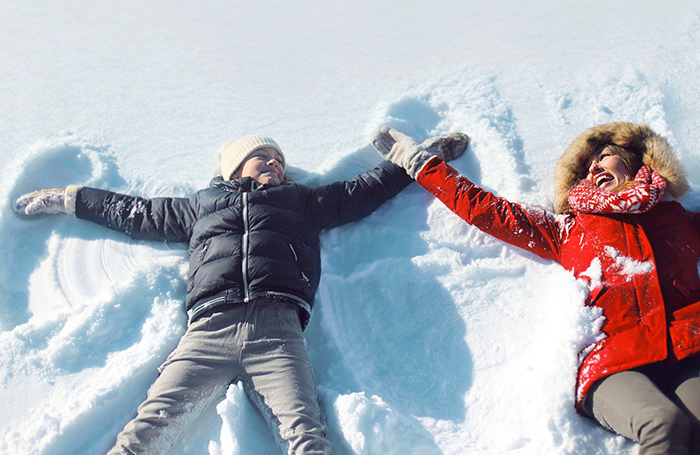 ∞	Sledding, sliding and twirling in the snow ... fun is guaranteed! Discover the snow parks at the Passo Lavazé, at Ziano di Fiemme, at Pampeago and on the sledding slopes in Predazzo, Gardoné, Obereggen and Bellamonte, or nighttime downhill sledding on the well-lighted Obereggen slopes. ∞	The incredible Family Paradise offerings. ∞	The Zecchino d'Oro events and the Topolino Trophy for young cross-country skiers. Great events in Val di Fiemme. Free weekly FiemmE-Motion Wintercard program. The Cavalese Ice Skating Arena. The indoor and hydro-massage pools at Predazzo and Cavalese.